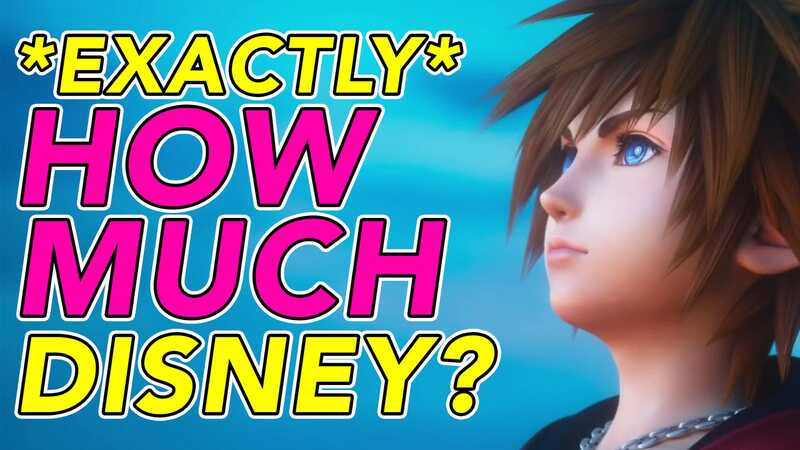 Kingdom Hearts III has many Disney characters in it. It also has many original characters in it. In order to browse IMDB while I got my calculator doing something, I determined exactly what percentage of Kingdom Hearts III voice cast are "authentic" Disney voters. This video has a voice line of (almost) every Disney character in the game! Try to guess who is authentic while you look. If you're the kind of person who doesn't have the time to watch the video: First of all, see it later! Second, official Disney voters vote 56.7% of the Disney characters in Kingdom Hearts III . If you want to know which 56.7% it is, buddy, please see the video. Special thanks to my friend Alex Jaffe for doing much of the research on this subject and generously sending it to me as a video idea. He has a great job interview very soon, so if the job interviewer happens to read this: you should hire Alex Jaffe. I've known him for years, and he's always the first person I think of when composing a joke for one of my videos. If you hire him, you don't even have to think, "What would Alex Jaffe think about this?" Because you could just go over and ask him. By the way! You can subscribe to our YouTube channel if you like videos like this. There is even a playlist of all my other videos. Wow!